Model Ai Shang Zhen: Beautiful woman and great cosplay. Ai Shangzhen (艾尚真) is a supermodel and one of the most popular Chinese model, which enjoys great popularity in the Middle Kingdom (which the fact means of at least tens of millions of fans), presented in a completely new issue. 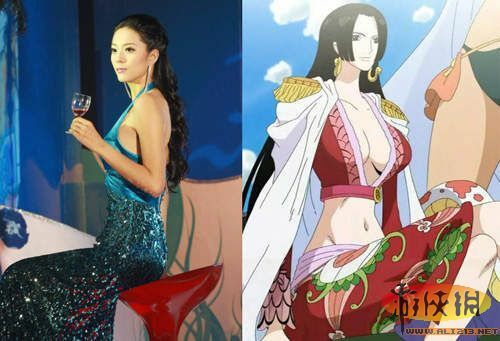 Ai decided to play the Boe Hancock – Snake Princess of Japanese video games – “One Piece”. In this way, the Asian model joined the sexiest cosplayerek (cosplay is a hobby of dressing up as characters from games, movies, etc.) of all time! Worked as a model. A wide range of industry talent singer also performs as an activity, business presenter, to an actor. 3rd Miss China in 2008.